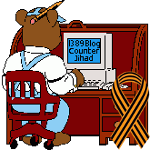 The Jawa Report — 1389 Blog - Counterjihad! Caturday: No No No No CAT! There’s an actual mosque in a Toronto public school cafeteria – and menstruating girls must sit in the back! John Hawkins on Israel and the Palestinians – Uncensored!